I'm going to admit right here & now, I am NOT a CAS gal! I figured a Silhouette Image was called for! I chose an image from the Flourishes- Sweet Days Of Summer. 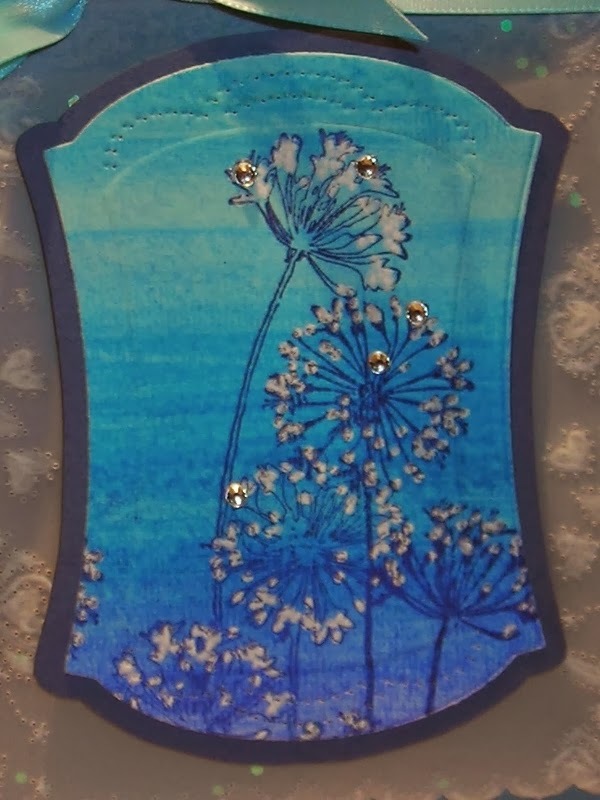 The technique I used, is called the Dry Embossed Frame! I think this image is so wistful! I can't tell you how long it's been since I've found a good book to just dive into! She LOVES the outdoors & she LOVES to read!!! 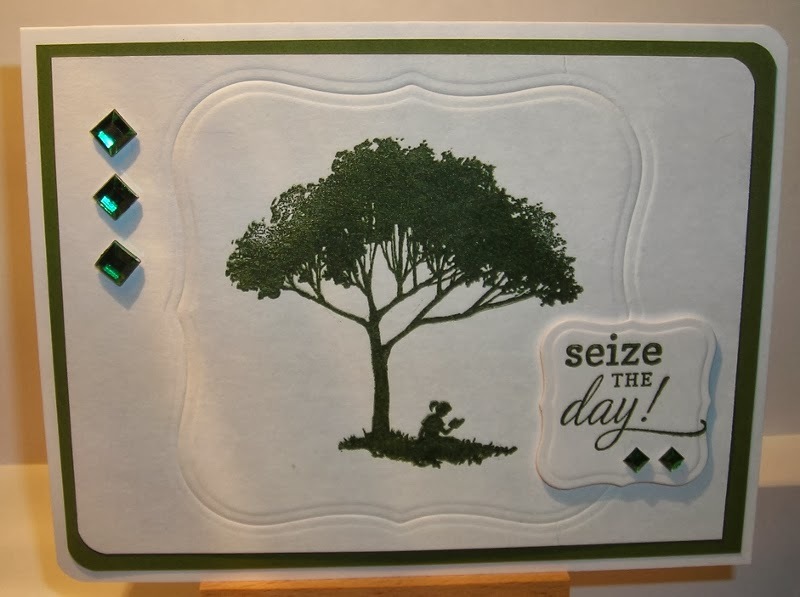 I used the Spellbinders- Labels One Die, & Versa Fine- Olympia Green for good coverage. To get a GOOD silhouette image, I think it's all in the INK! I added Rhinestones & Dimensionals & thought it needed something else before assembling it. I didn't even add a ribbon!!! so I was a little worried about trying this, but you never know till you try! you won't be using those. * Add one cutting plate. *Add 1 Tan Emboss Mat. 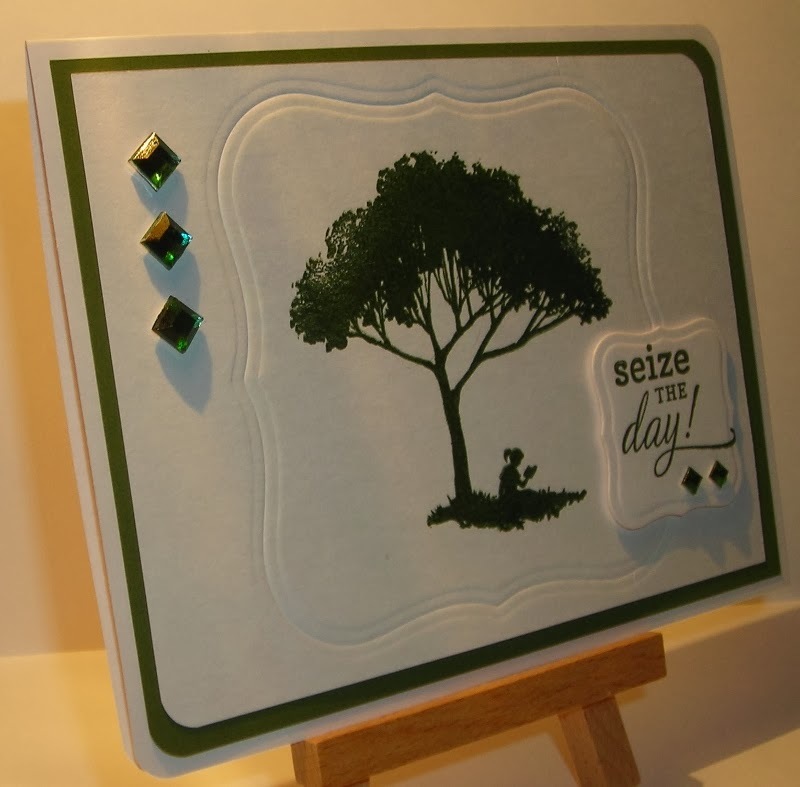 *Add your card stock with the die positioned down & secured. 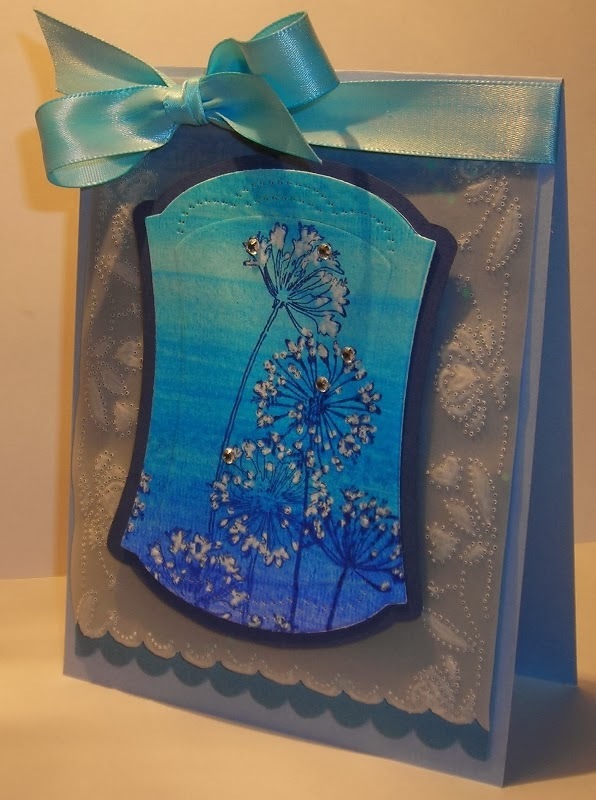 *Add Sizzix- Texture Impressions Pad. *Run it through the machine. HOPE you find some time to "Seize The Day" with whatever makes you happy! If you'd like to be a part of this challenge, you have until Sun., March 2nd, midnight-PT. The challenge was to use things that we "hoard!" My husband said, "When you're 'hoarding' you shouldn't 'need' to be shopping, & YOU are always wanting to go shopping! So, you couldn't be 'hoarding' anything!" I'll show you WHAT exactly I "hoard!" Isn't this LOVELY??? 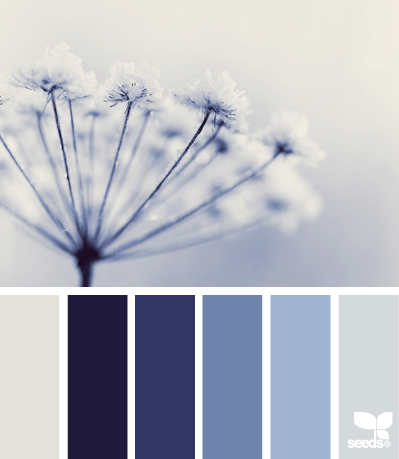 Soft hues of blue & FLOWERS!!! I've only heard OF the company, "Close To My Heart!" NEVER really seen ANY of their products that I know of! This would be FUN to win to TRY THEM OUT! I started by doing the Ombre' Technique with Gelatos on Watercolor Paper. Yep, I GUESS you could say Gelatos are "hoarded" around here! I don't use them near as much as I should! 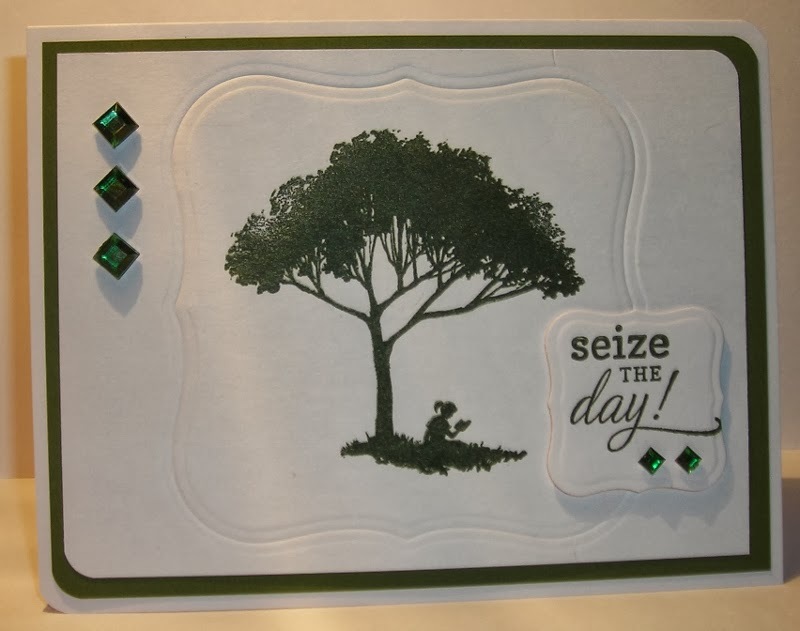 Here you can see where I did a little embossing & paper piercing on parchment paper. along with a stylus, paper piercer & embossing mat. Now, THIS is one thing I have been "hoarding" for sure! I've had it for FOREVER & never used it on a card! I DEFINITELY "hoard" ribbon!!! I am ALWAYS picking some up at the store, afraid I'll run out of one color or another! I colored this one with a Gelato to get the right color I wanted! 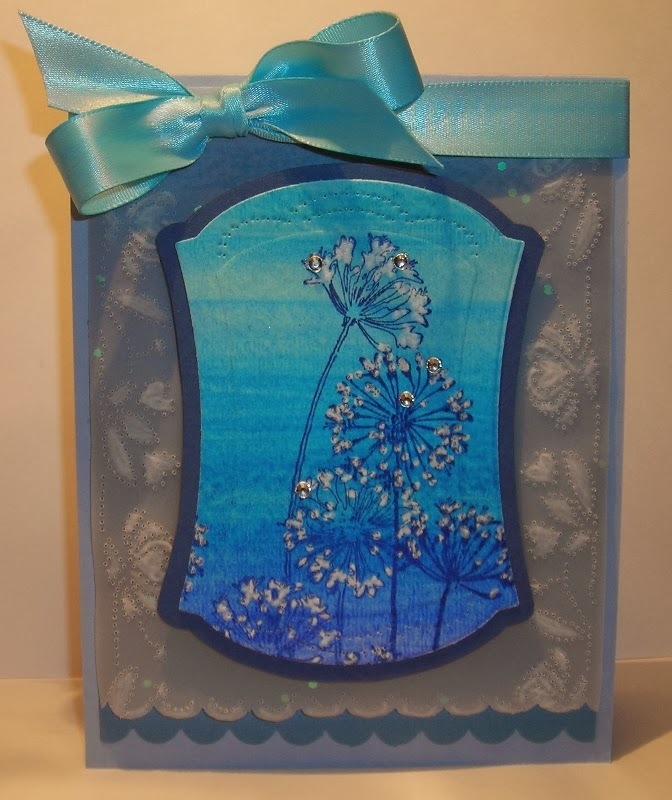 I used Stampendous-P107 Agapanthus Cluster for my image, using Versa Fine Ink- Majestic Blue, and die cutting with Flourishes- Classic Hourglass Template Die. I did the bottom edge with SU- Scallop Edge Punch. You could even say I "hoard" my punches. I store them behind my door & forget they're even there, not using them as much as I should! & some Paper Studio- Rhinestones. Hope you find time to jump in on this challenge & use some of your "hoarded" crafting goodies! Enjoying this LOVELY SPRING WEATHER we're having today! I have another card for you this week! I had ordered a set of stamps from ODB & WONDERED if they'd get here in time! So, I set right to work! 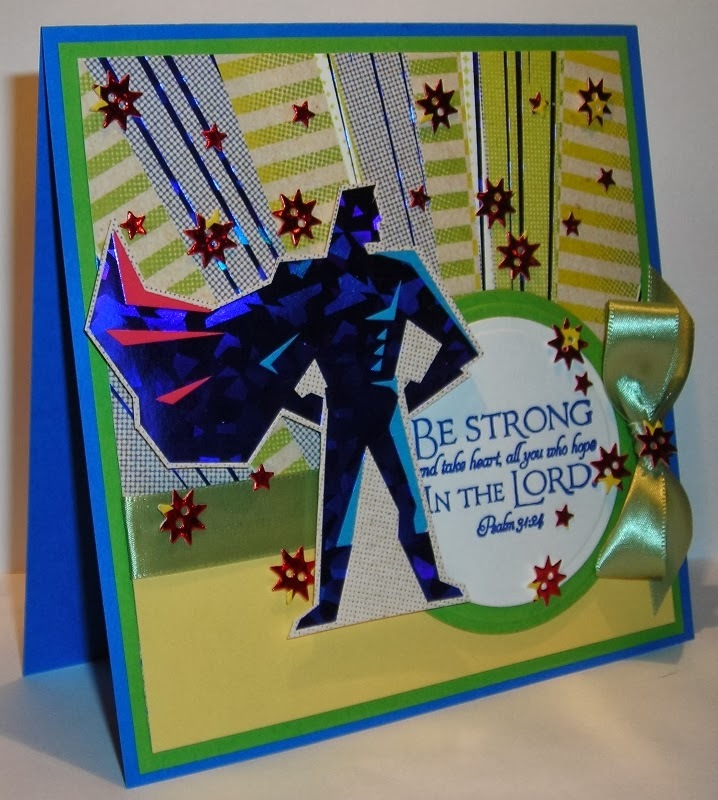 I had an idea for this card for our son & then I had to set about finding a card to CASE! The challenge at ODB, is to case some one's card, be their "Secret Admirer!" I chose to case Lisa Somerville. I LOVE that "Sunburst Technique!" 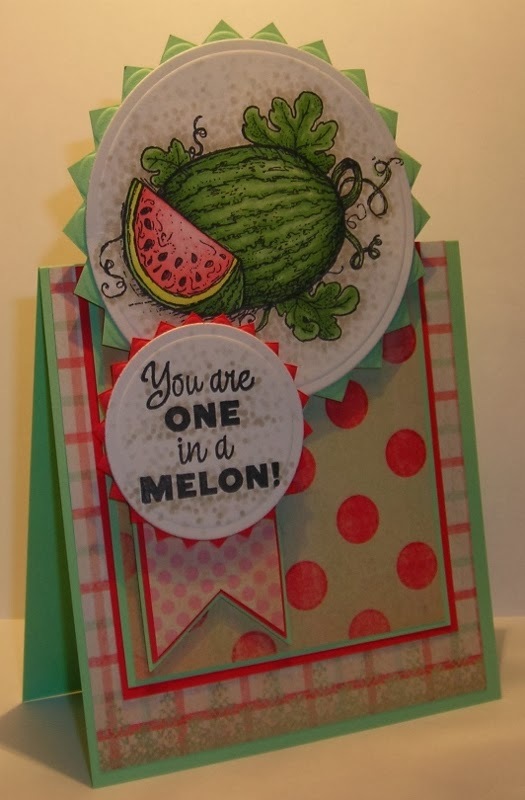 I do things backwards sometimes & that's what I did when I made this card! I struggled with getting my paper to angle like Lisa had hers angled! Made one star burst & wasn't happy with it & began again! But, in the end, I'm not too unhappy with what I came up with. I only wish I could have gotten it more angled! Remember, I said I wanted to make this for our son, a fan of SUPER HERO'S! I like this Scripture with what I've done, because the "Be Strong," is BOLD!!! 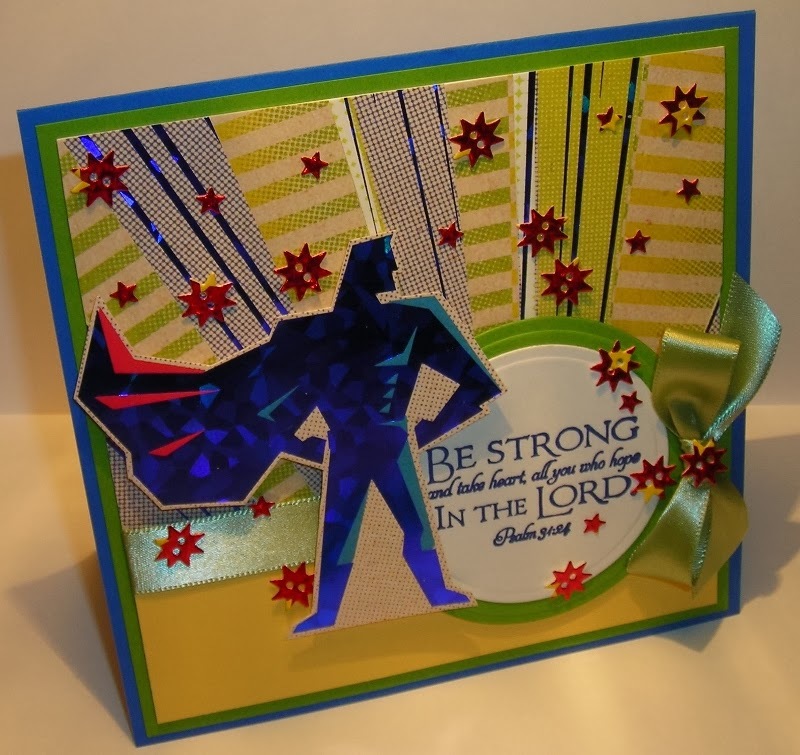 Which is what I want to show in my card for our son, just to encourage him! The Scripture: "Be Strong & take heart, all you who hope in the Lord." Psalm 34:24. Like I said, our son loves Super Hero's! 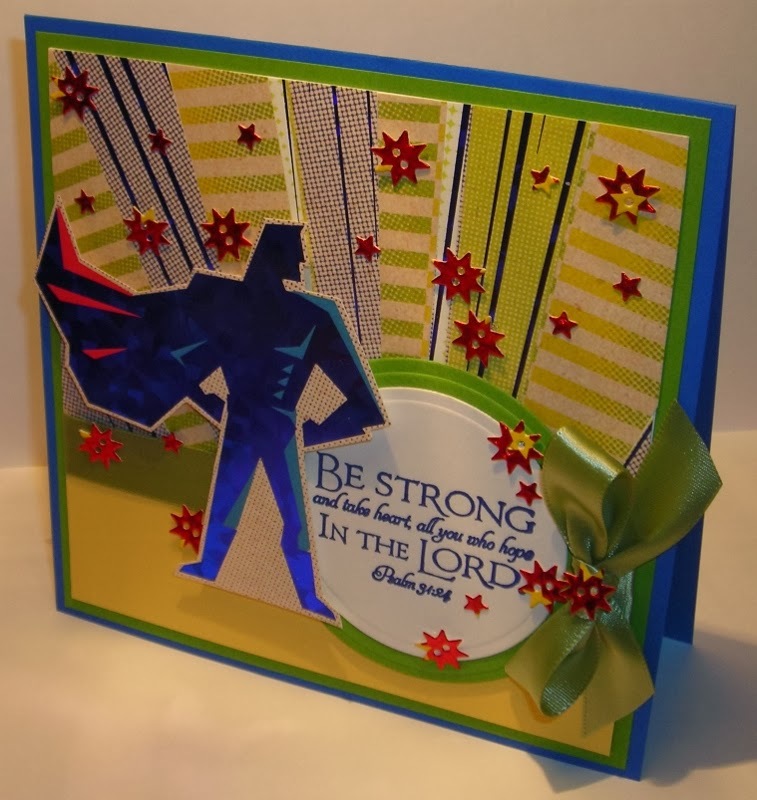 And this is a card JUST FOR HIM!!! I had to show you the paper & how it shines! The paper is from Recollections Signature- Comic Hero's. You can find this Paper Stack at Michael's! I also used PTI- Star Gazer Dies for the stars. 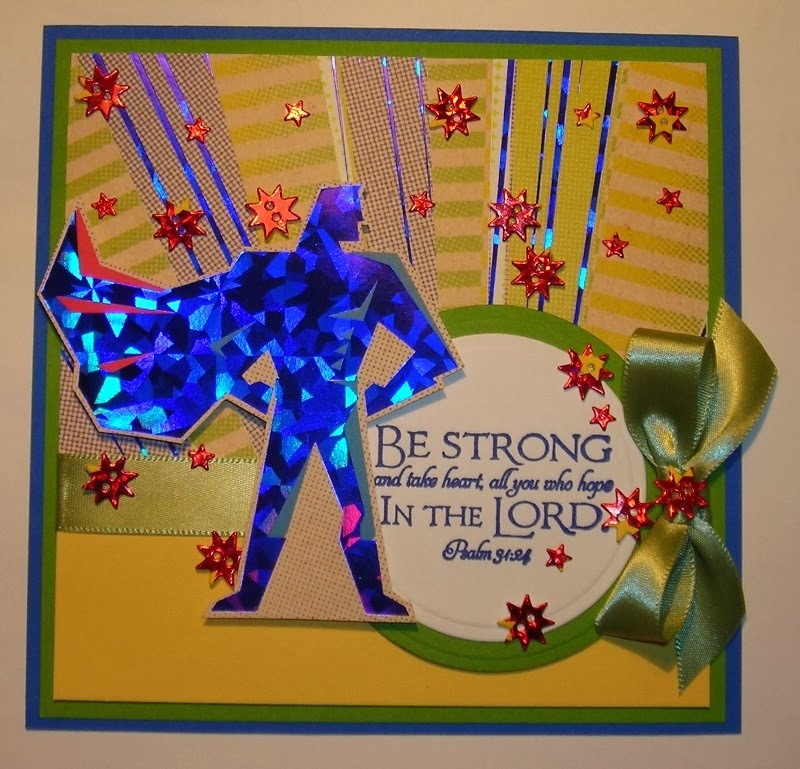 HOPE YOU are INSPIRED to "BE STRONG in THE LORD!!!" 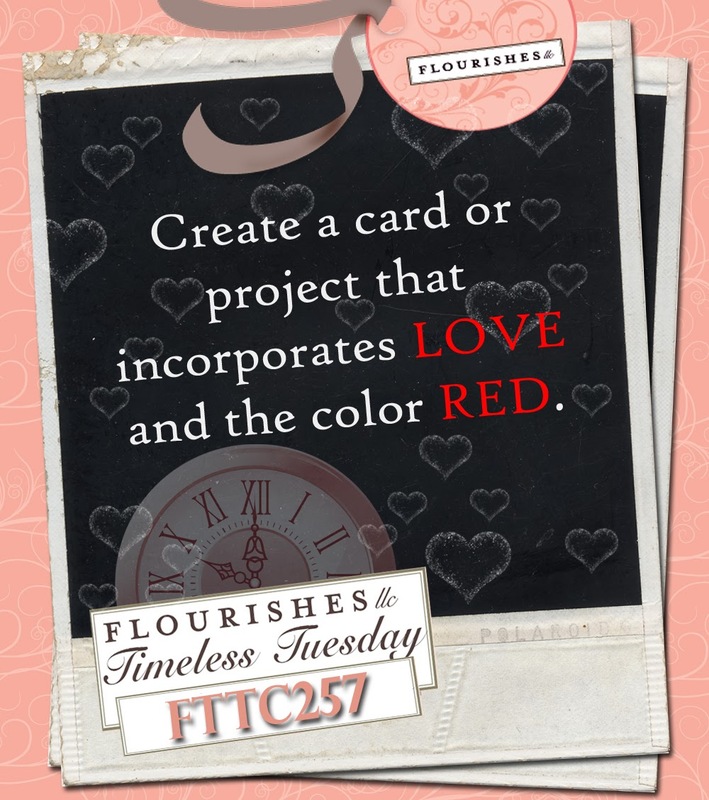 It's Timeless Tuesday Challenge Time! I decided to use one of the sets I got in my "Mystery Bag!" I KNOW our daughter will LOVE this set, as she LOVES Watermelon! So, you can be SURE I'll be mailing this one to her! My paper is from My Mind's Eye- Lost & Found. AND do you notice the Stippling? I colored my image with Copic Markers. That little circle with the sentiment, reminded me of an Award Ribbon! 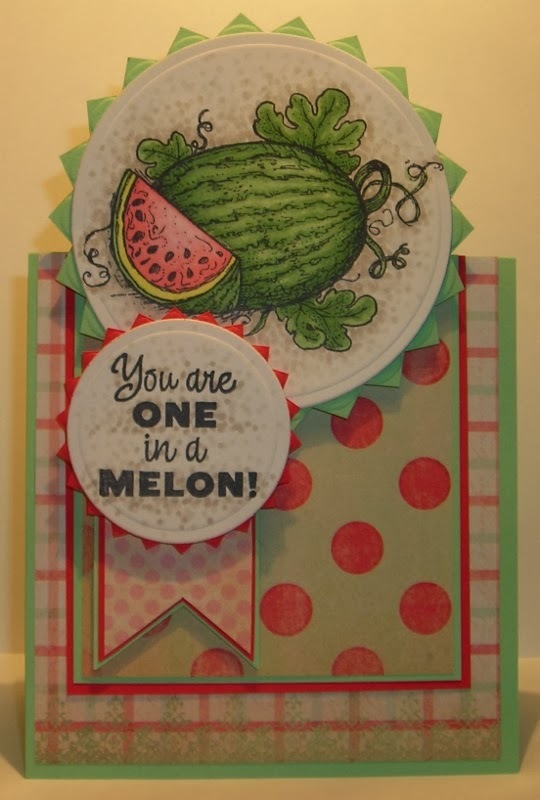 The sentiment, from the same set- Wild for Watermelon, says it ALL!!! A close-up so you can see the stippling! 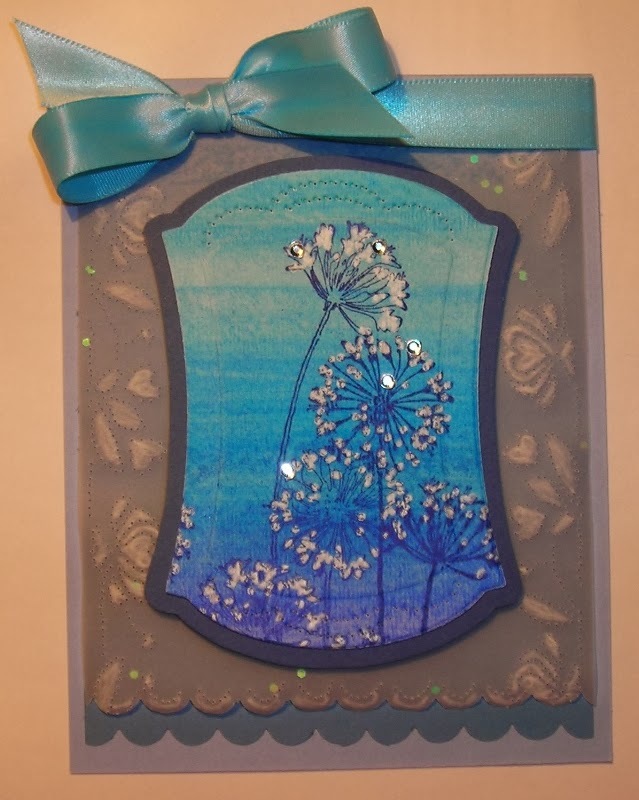 I used Spellbinders Classic Circle Dies & Classic Scalloped Circle Dies. I snipped off the scallops to create the points! I popped it all up on dimensionals! Are you wanting Watermelon now? 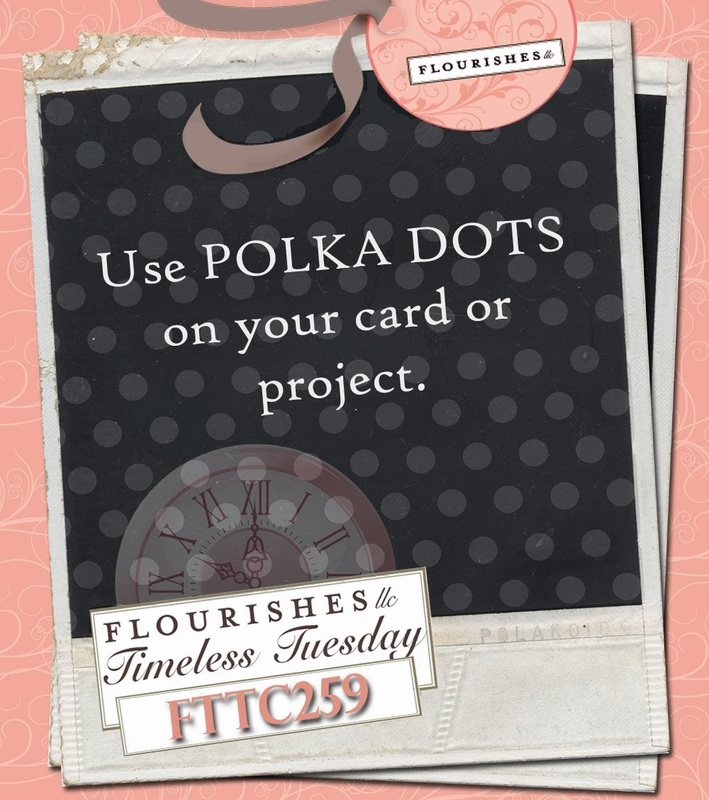 Hop on over to Flourishes & take a peek at every one's cards with Polka-Dots! You're thinking I've made a Valentine I'm sure, BUT I didn't! It's time for the Timeless Tuesday Challenge! I couldn't let this challenge pass me by! 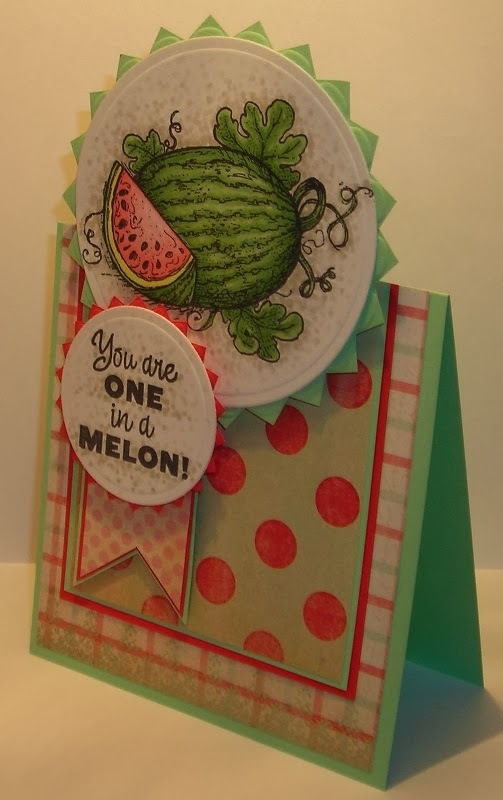 I got an idea for this card while doing the blog hop Flourishes had this last Tuesday when they announced this challenge! Whenever I think of WOOD on a card, I think MASCULINE & I had THE PERFECT IMAGE from Flourishes for that masculine card! 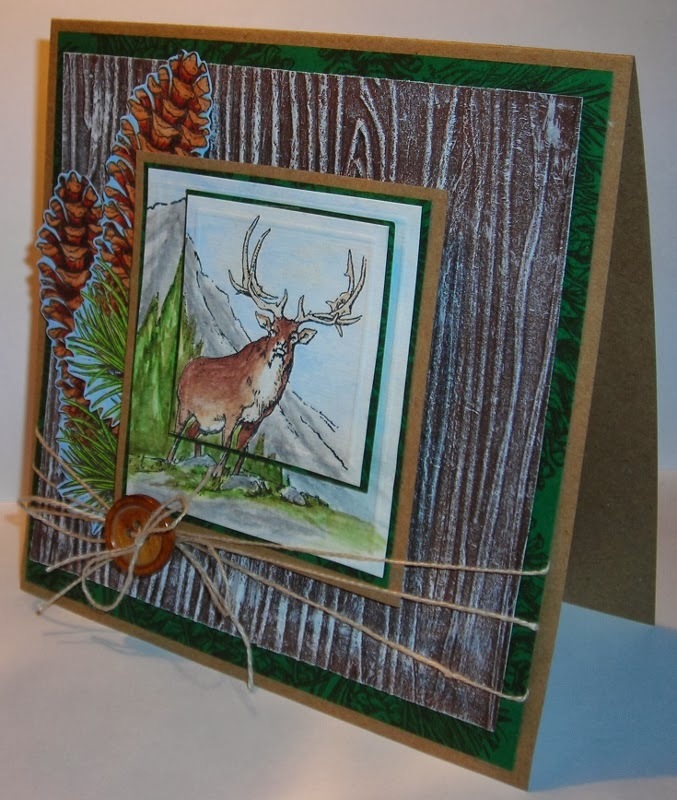 I used Flourishes Images- Mountain View & Naturally Merry. I varied from the sketch just a bit---I didn't want to cut off this beauties antlers! So, I went a little off center for the focal point! I popped everything up on dimensionals! My wood panel is made with SU- Wood Grain Embossing Folder---I inked it up with SU- Chocolate Chip Ink for a deep brown in the wood grain. My paper was a little wider, than the folder, so I ran it through once & inked the folder where needed again, & laid the paper between the folder & then I used my rolling-pin just for that area. I pulled out my Gesso & dry brushed it over the wood panel I'd made! 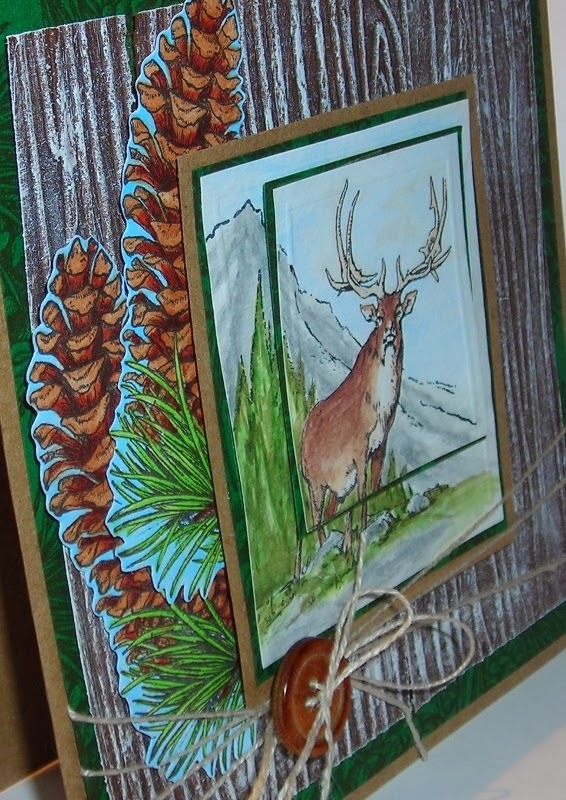 I colored my image with SU- Water Color Crayons & the Pine Cones are colored with Copic Markers! 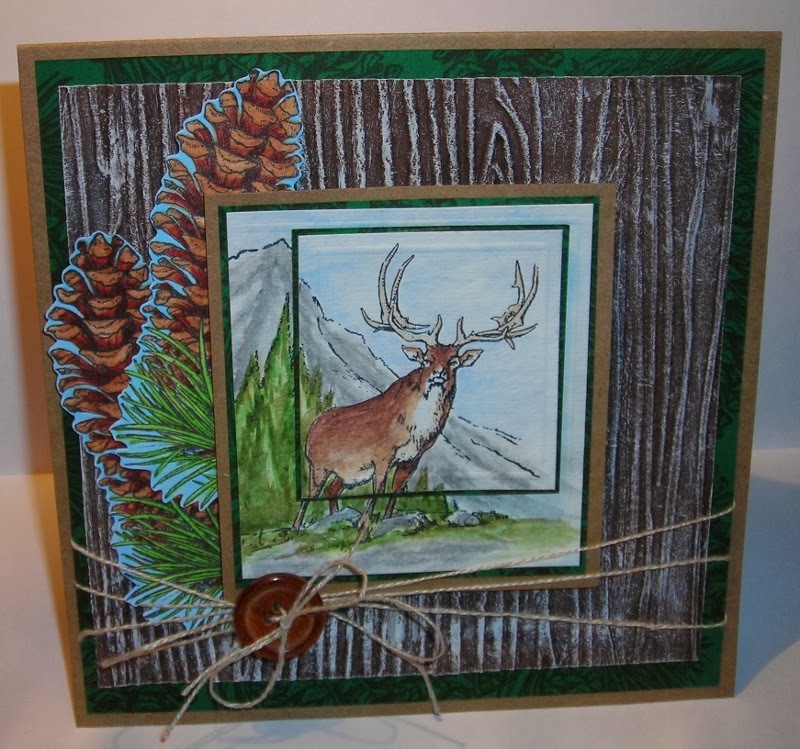 I also used the Naturally Merry Pine Cone to stamp the green matting, just for richness! 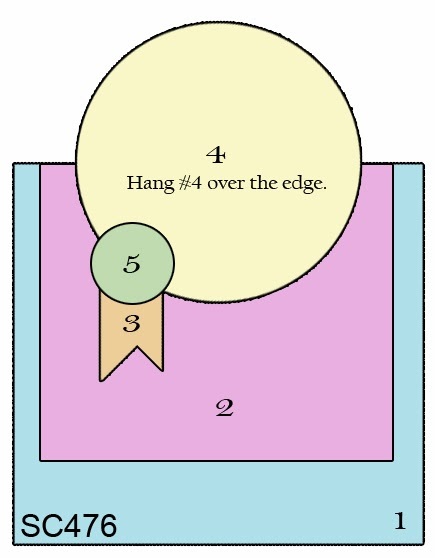 I used my Score Buddy to score around the edges of the matted image/s; you can take a closer look to see it, ( I made two images for this...) AND I added a wood button with linen thread. 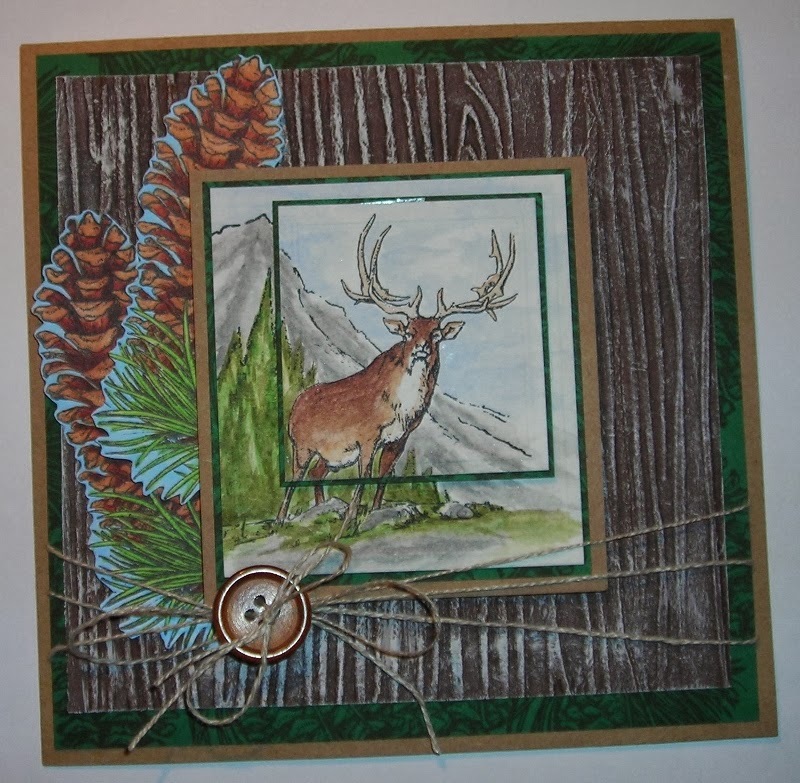 There's nothing better than using nature for masculine cards, especially when your man LOVES the outdoors! Don't forget to visit Flourishes this week! EVERYTHING will be 50% off! WHAT are we going to do when the doors close? See you over at Flourishes!!! 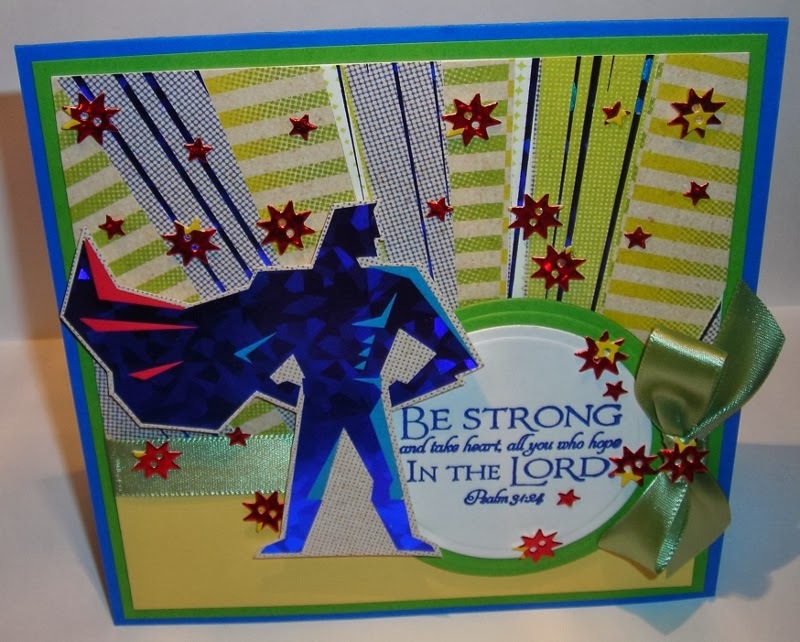 This card was chosen as one of SCS FAVORITES for this week! Can you believe it? I've come up with ANOTHER VALENTINE! This card will be entered into TWO CHALLENGES! 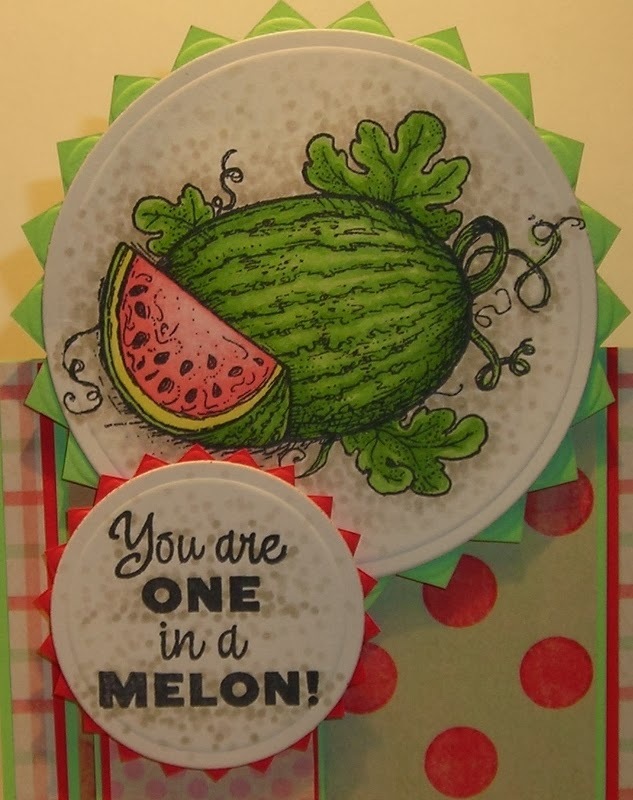 I used this recipe to come up with my card! 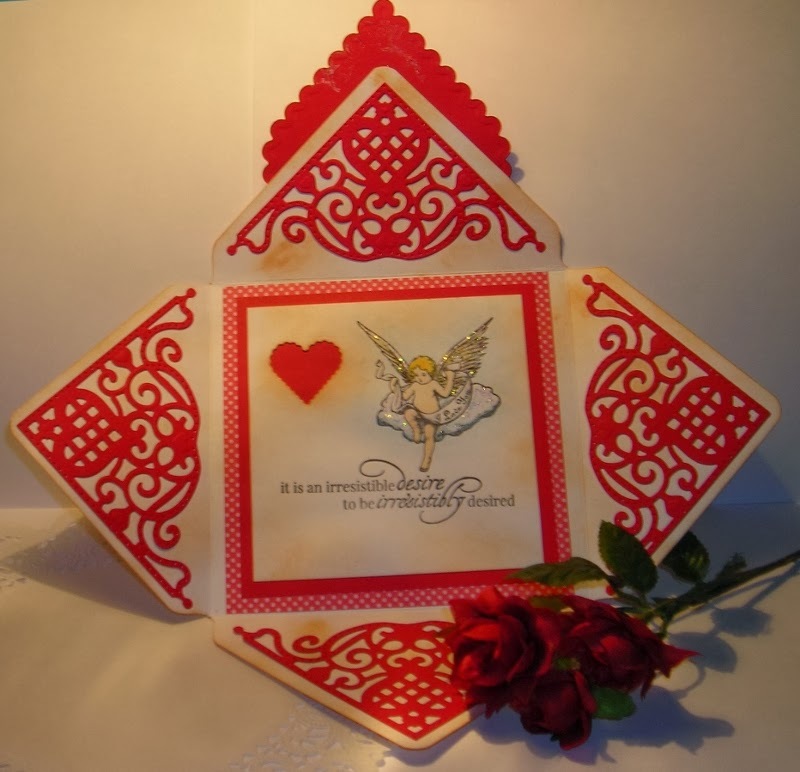 I don't have any of the Valentine goodies from ODB, BUT, I do have ONE DIE that does the trick! So, tell me what you think? This is the front of the "Envelope!" 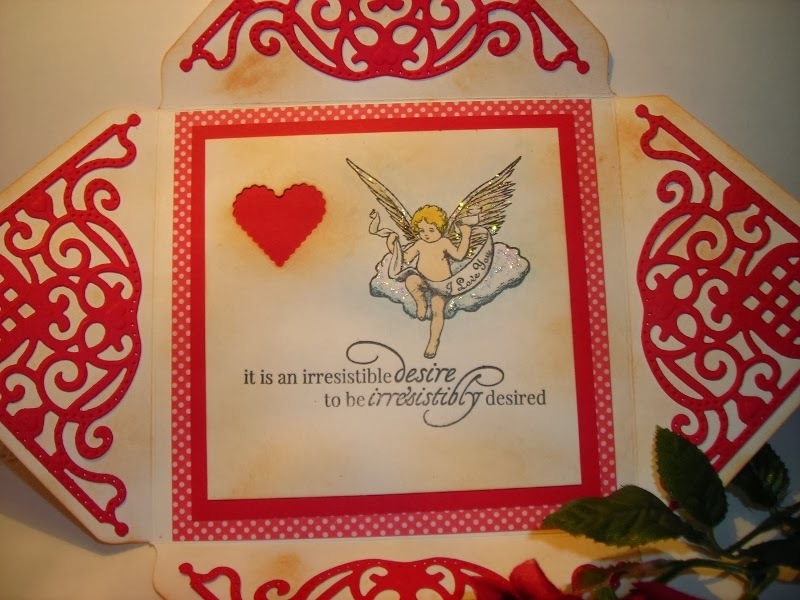 I used Flourishes- Angelic Love & From The Heart, to make this card. 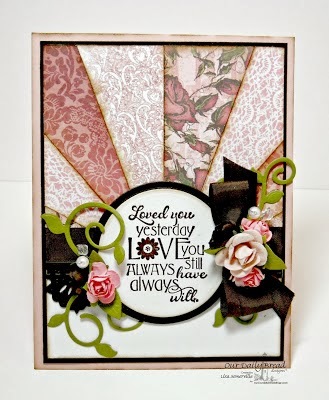 Flourishes- "Red & Love" Challenge. This is the back of the "Envelope!" As you open the "Envelope..."
Here you can see the ODB- Custom Design Die. 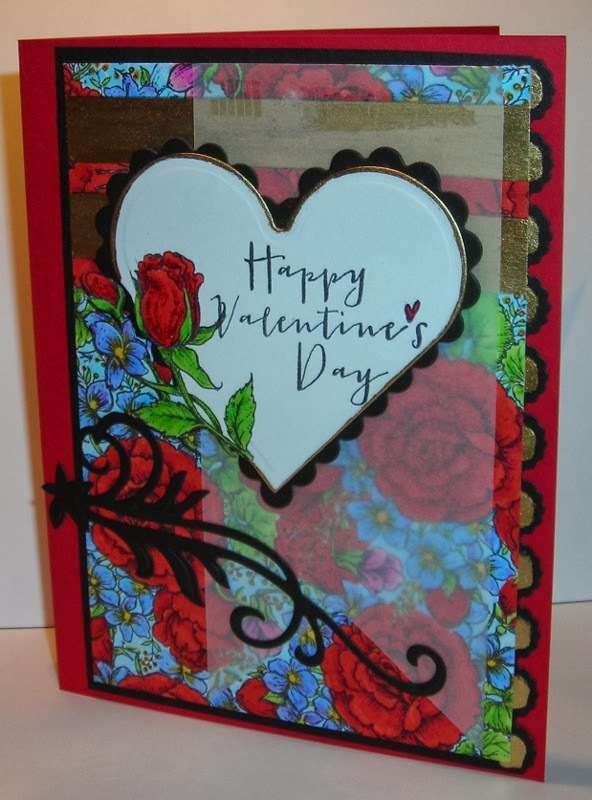 Here you see that the ODB- Custom Design Dies help to make this Valentine! the sentiment is from Flourishes- From the Heart. Here a close-up of the inside! Isn't that little cupid CUTE? And the sentiment is meant for someone IRRESISTIBLE! I just COULDN'T RESIST these two challenges! 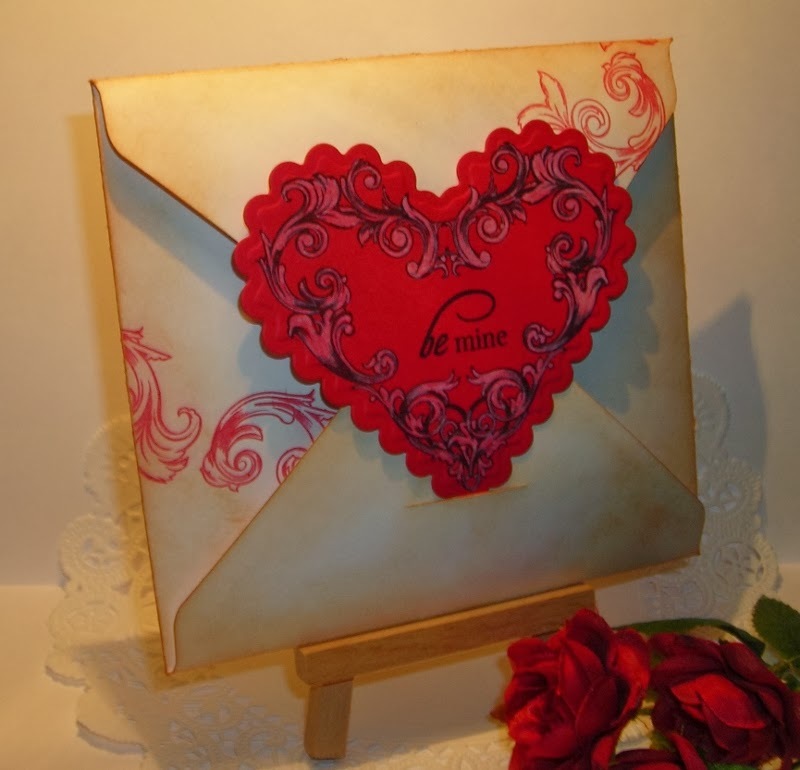 In a Vintage Valentine Mood! 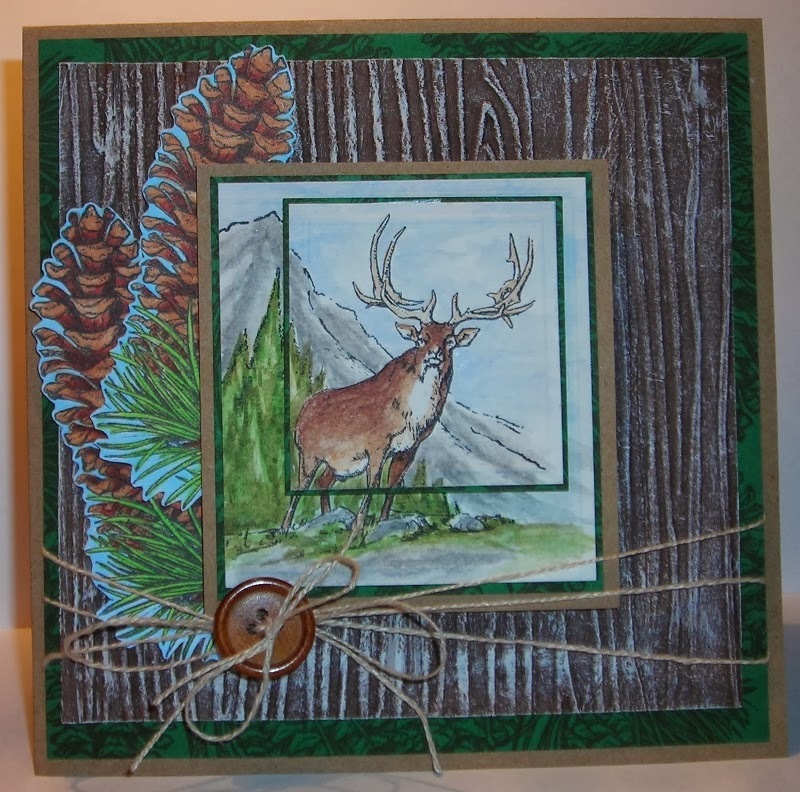 I used the envelope Punch Board to make my envelope, making it to the dimensions for a 5"x 5" card. Polka Dot paper- 4 15/16" x 4 15/16"
Red paper- 4 1/2" x 4 1/2"
White paper- (for the image)- 4 1/8" x 4 1/8"
I discovered that if you use the Distress- Picket Fence Marker, it tends to splotch. One way to fix that, is an Eraser! It only erases the splotchy parts! I told you I'd be back with more Valentines & here I am! 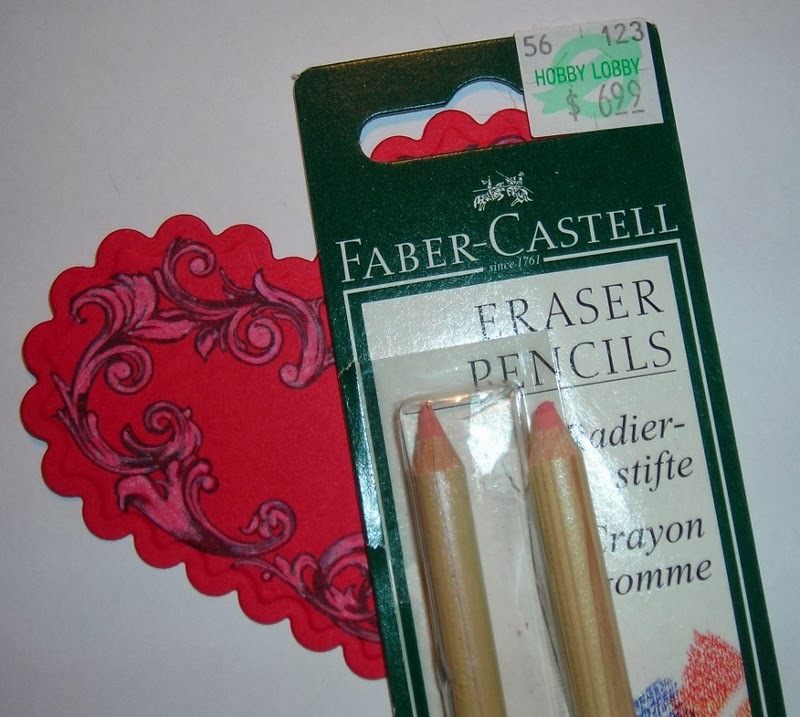 Do you remember those days in Elementary School when you were preparing for your Valentines Day Parties? Finding just the right shoe box, without dented corners? Covering it with foil, hearts & doily's? 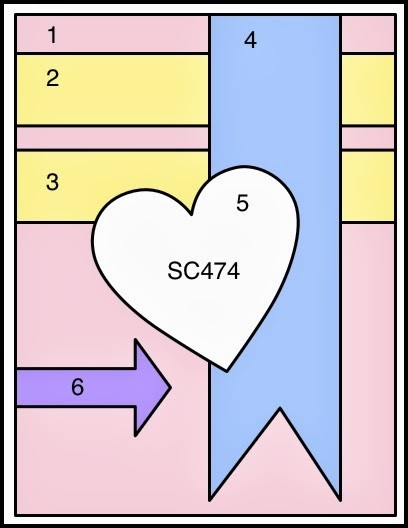 Cutting that slit in the top of the box, so others could slip their Valentines to you right in it? HOPING your box would be full of little notes of Sweetness? The excitement that the day would hold? and matted it on a piece of 3 3/4" x 2 3/4" SU- Card Stock. 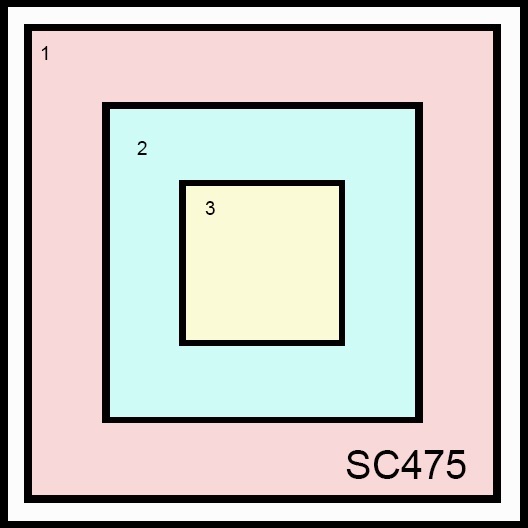 I feel using this little stamp in ATC form is a-kin to those little Valentines we received in school. do tell me what's the matter. Isn't that just the CUTEST? 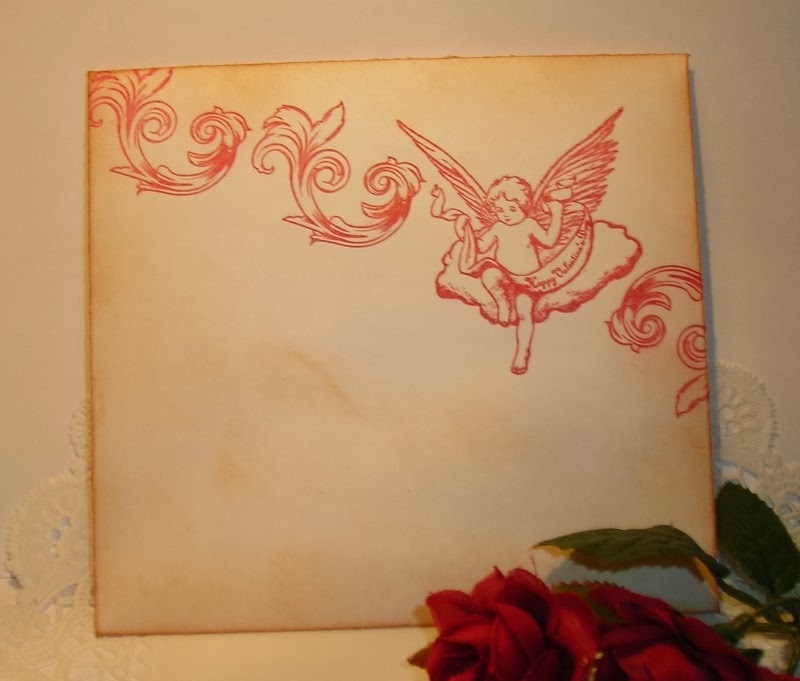 The image is from RED LEAD! adding Stickles to the little hearts in their hands! These will be tucked into the larger Valentines I've already made! Who doesn't like to be reminded of those School Day Valentine Parties? 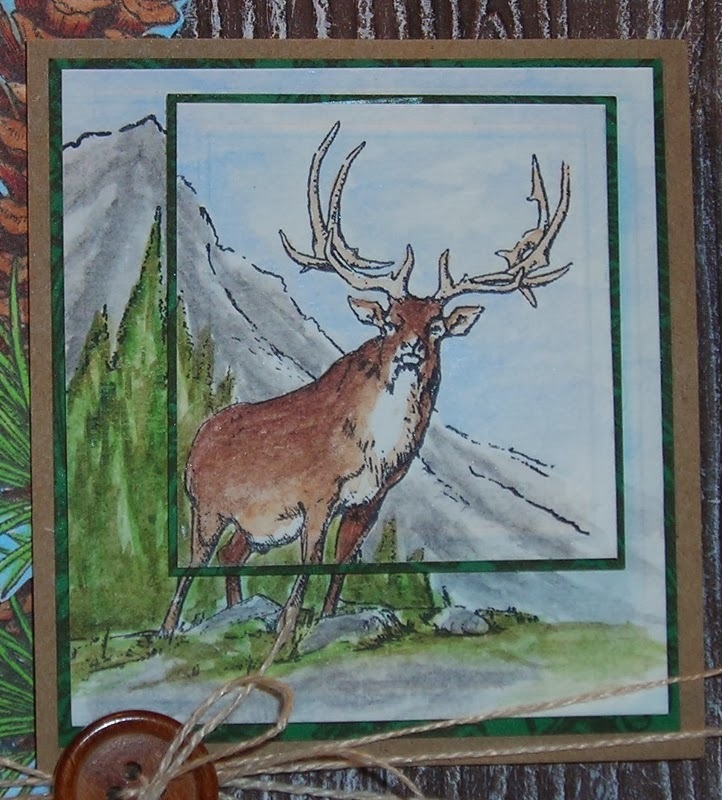 I thought about using my ATC stamp for the back, but decided not to! 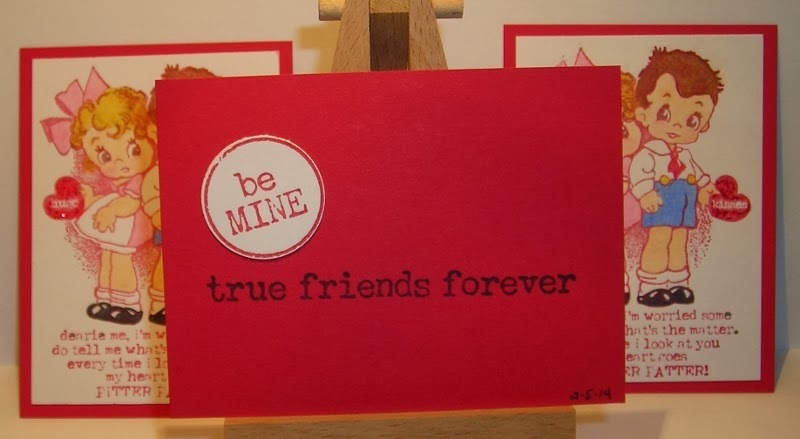 I wanted them to be like those old time Valentines---even though, I didn't stamp "TO & FROM" on them! 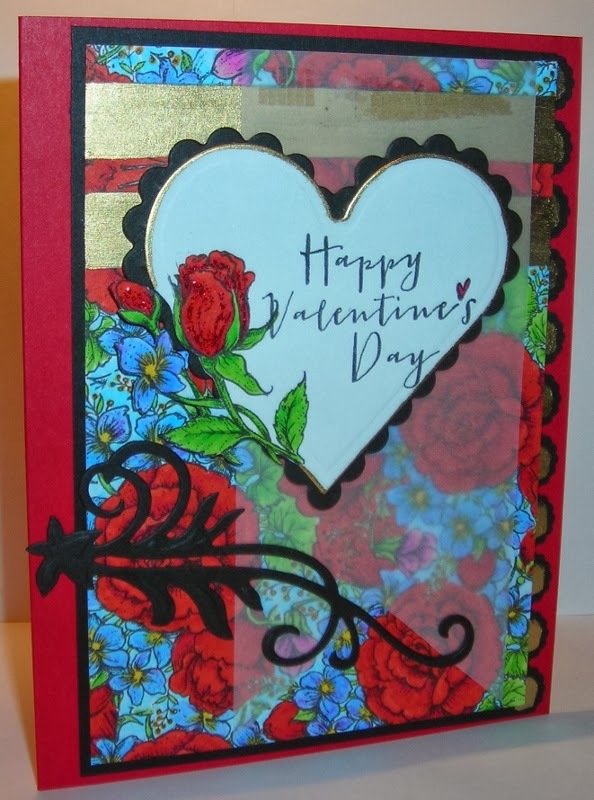 The 1" Circle punch on the back is also from RED LEAD--Story Stamp Valentine Words; the black colored sentiment comes from the same set. 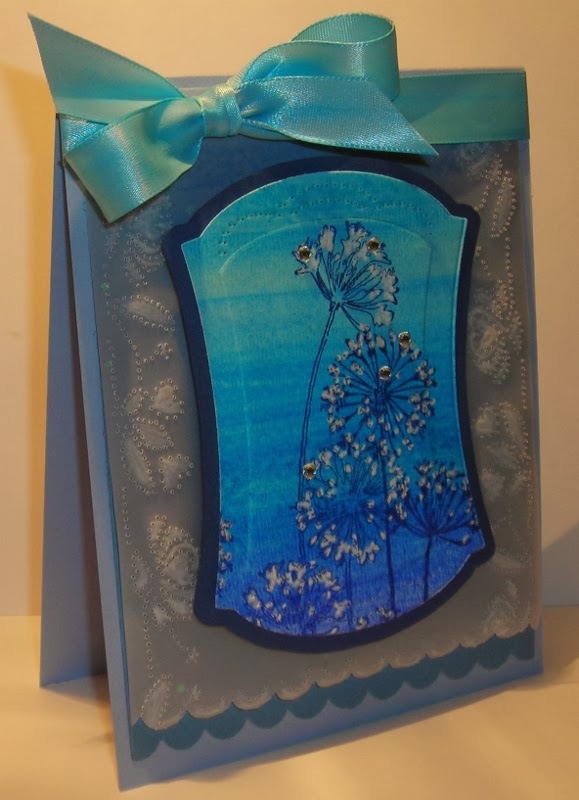 I've been seeing these little ATC bags when I go to the craft store & could hold out no more! Valentines Day was THE PERFECT TIME to pick these up! 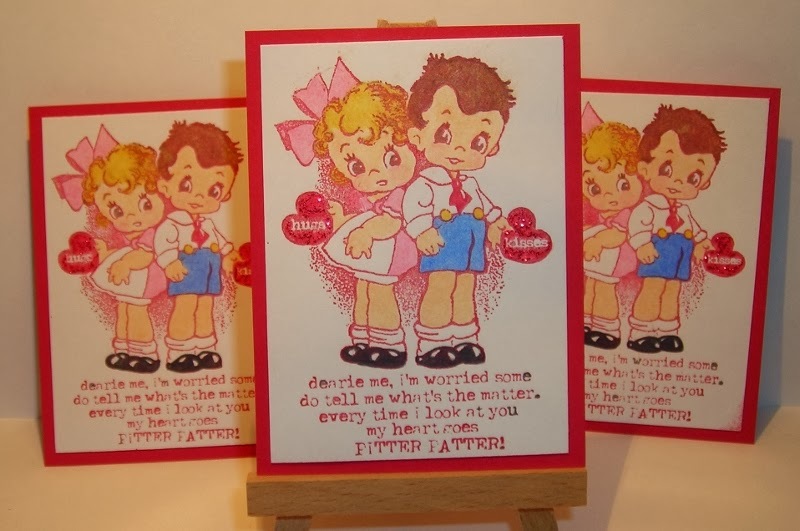 I think they just add to the nostalgia of these Vintage School Day Valentines! If kids want to make their own Valentines for their Valentines Parties at school, these stamps would be SUPER EASY for them to use! 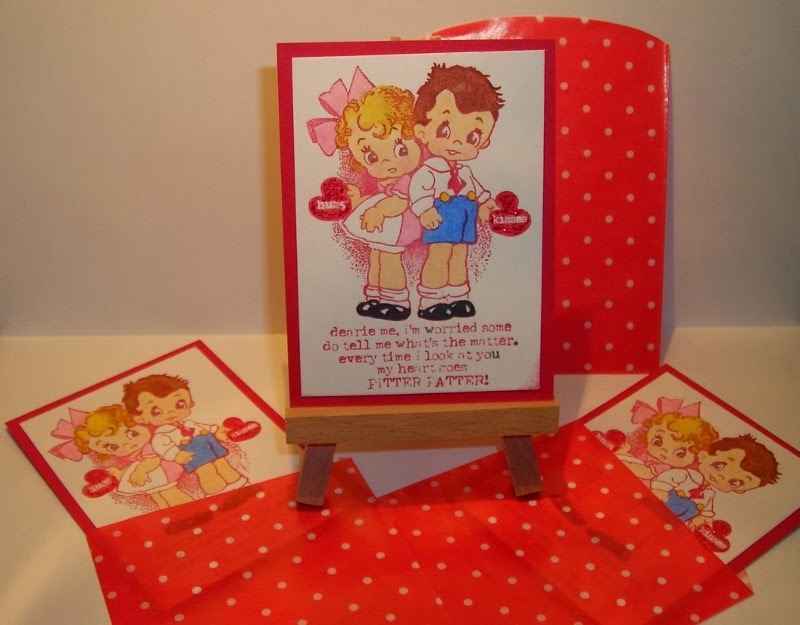 Red Lead has MANY other Vintage Valentine Images! BE SURE to check them out! There are MANY MORE that I want! I think I LOVE this little "holiday" BECAUSE we ALL NEED for people to tell us they love us! And this day is a SPECIAL DAY just for people to express to others that they are loved! QUITE A SPECIAL DAY if you ask me!!! HOPE you've enjoyed my VALENTINE BLITZ!!! Are you ready for VALENTINE'S???? 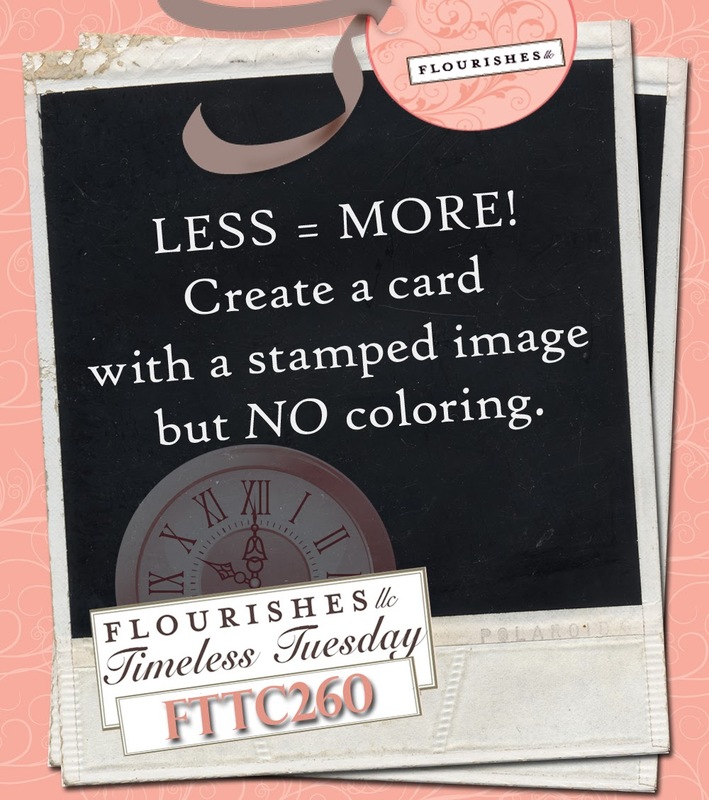 Flourishes Timeless Tuesday Challenge also! Do you remember the Challenge? I told you I LOVE this "holiday!" You STILL HAVE TIME to join in! 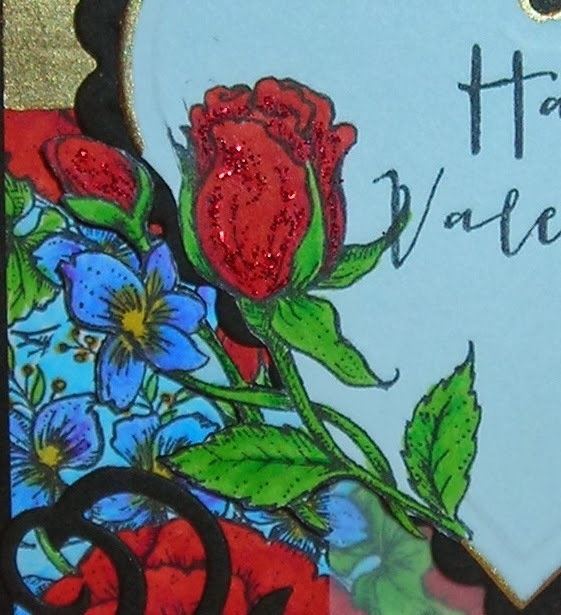 Flourishes- Roses Are Red, so that's what I used for this card! I only changed it a little bit! 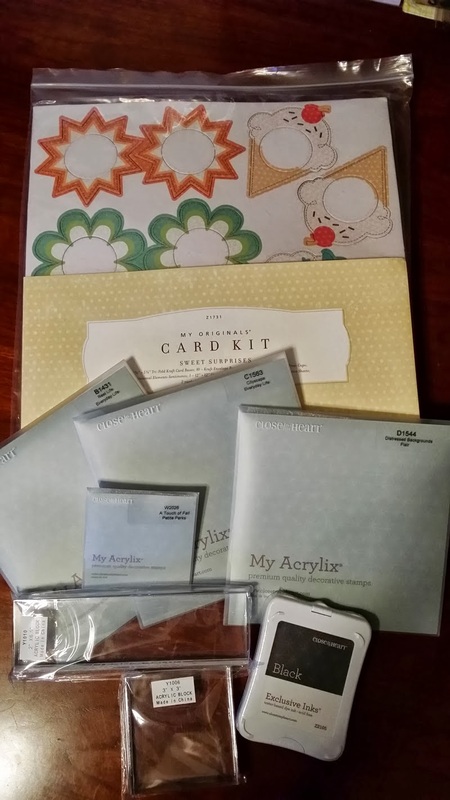 I created my own Designer Paper with masking & coloring with Copics. For the banner, I used Vellum & it helped to tone down the brightness just a little! 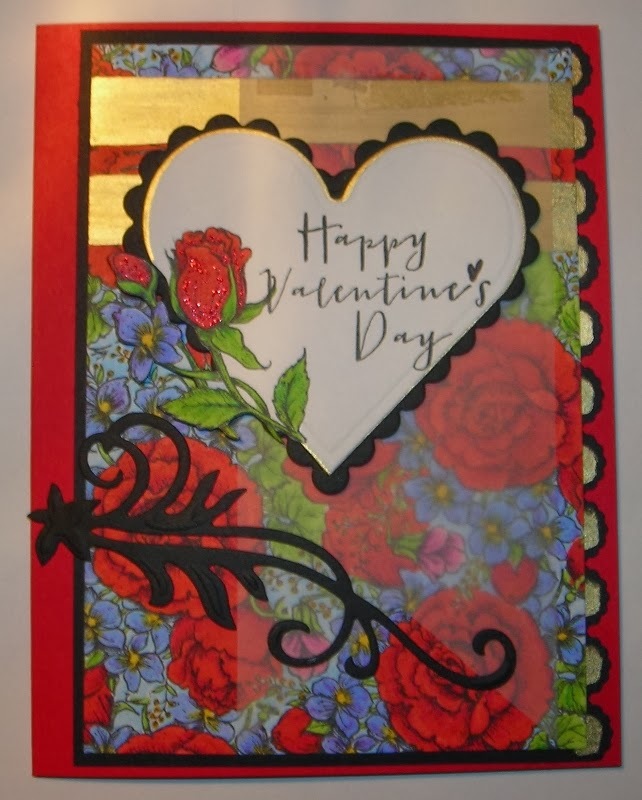 The Gold bands at the top are my Gold Krylon Pen & I also edged the white heart, & I added some Gold to the side scalloped piece- SU- Edgelits- Adorning Accents. 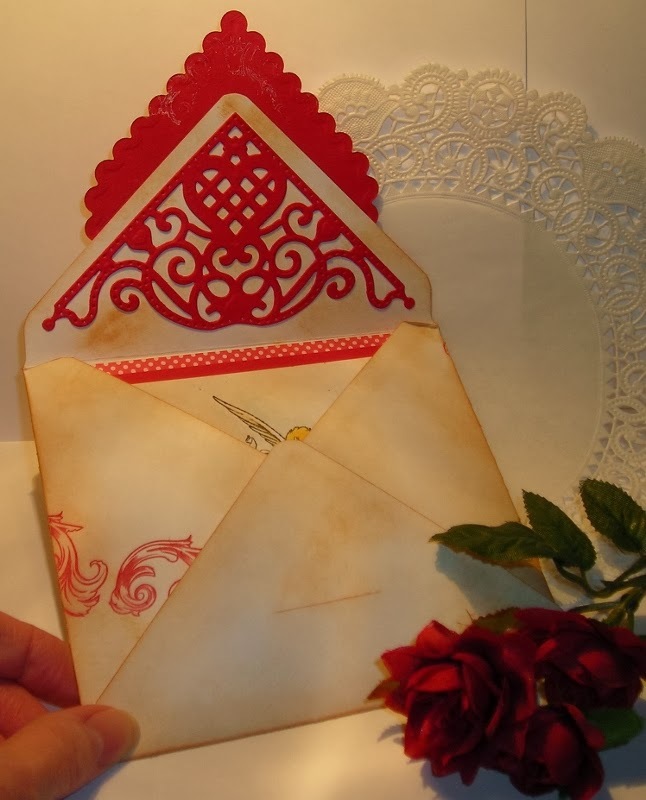 The Flourish is Spellbinders- Floral Flourishes, instead of an arrow. This is a close up of the rose bud on the heart. I used the "Out of the Box" technique & I used just a little bit of Stickles for sparkle. And this is the inside! This set has several verses you can choose from! 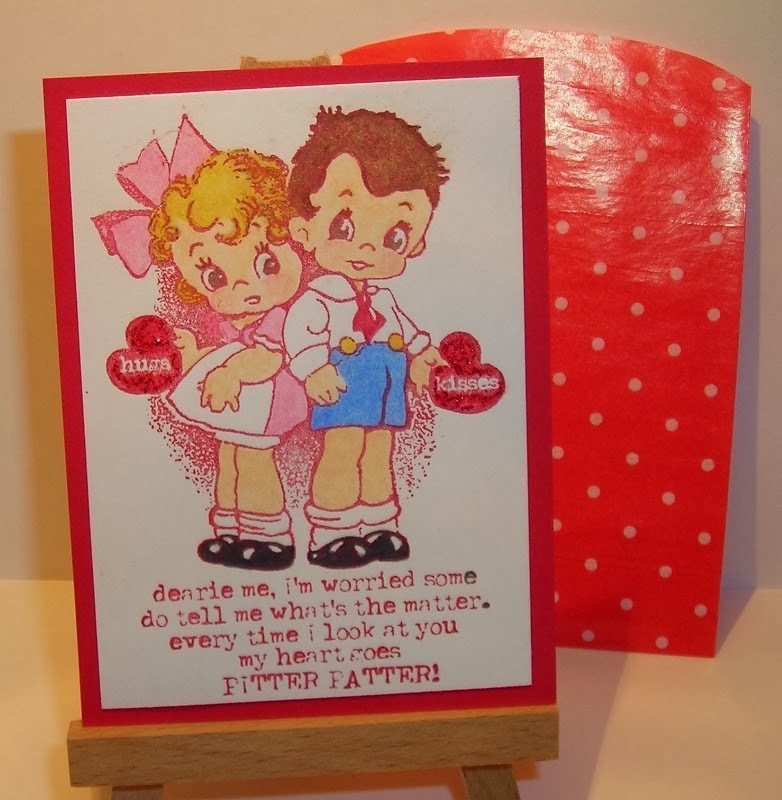 Check back tomorrow for "Vintage School Days Valentines!" 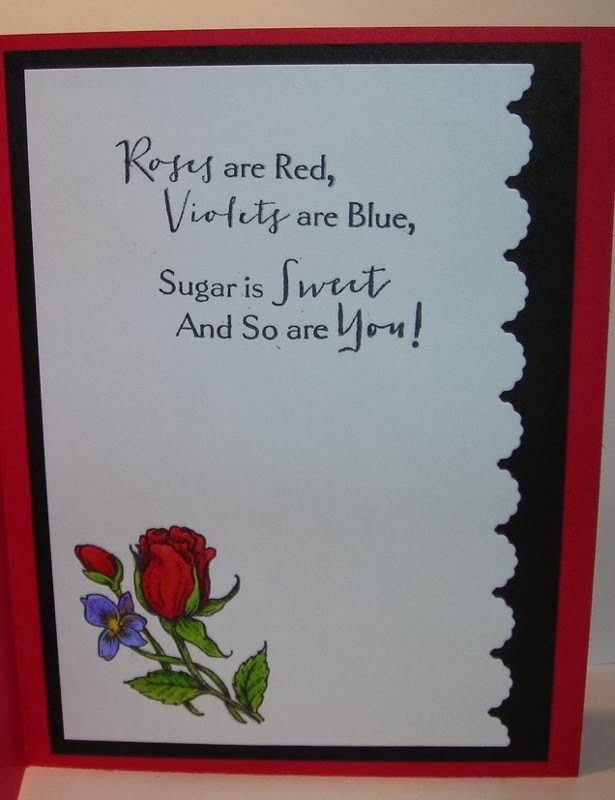 Enjoy your Valentine's Day with STAMPS CHOCOLATE!